Medieval Hungary: Botticelli in Esztergom? I did not want to write this post. 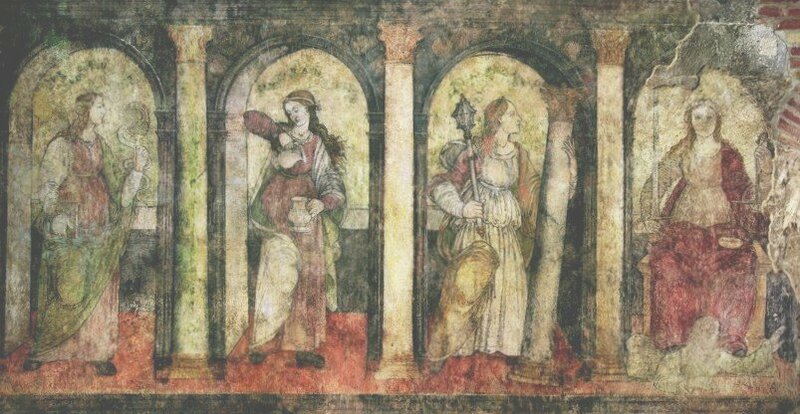 A great discovery has been announced a few years ago (frescoes painted by Botticelli have been identified in Esztergom!) but I still remain skeptical. Also, as I have been unable to study these frescoes personally during the last few years, and having never worked on Botticelli, I don't really have a very strong art historical argument to put forward here or in a more scholarly publication. In the end I decided to simply list a few facts here. 1. The medieval royal - later archiepiscopal - palace of Esztergom has been ruined and buried during the Turkish wars of the 16th-17th centuries (see this earlier post). The remains of the palace have been uncovered between 1934-38 in a large-scale archaeological campaign. Two large sets of frescoes were found on the walls of the building: a mid-14th century fresco-cycle in the chapel, painted by Riminese masters (in my opinion), and fragments of an early Renaissance cycle in one of the rooms of the palace. The room has been identified as the Studiolo of the archbishops of Esztergom, and the four surviving figures of the Renaissance fresco cycle as allegories of four virtues. 2. Starting in 2000, a new restoration campaign, led by Zsuzsanna Wierdl was started on the frescoes of Esztergom. Many later retouches, discolored repairs have to be removed, while structural problems of the entire building although had to be solved. This work is still not finished, in fact it largely stopped about two years ago, due to lack of funding. It is to be hoped that it will be continued this year, as the frescoes remain largely inaccessible (link to Hungarian article about funding). 3. 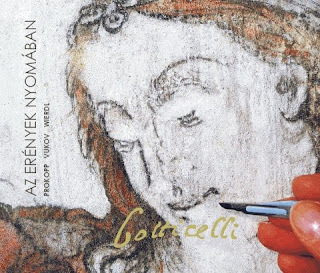 At a conference (pdf) held at Villa i Tatti, Florence in 2007, restorer Zsuzsanna Wierdl and art historian Mária Prokopp presented their findings, announcing that the figure of Temperance at Esztergom was painted by Sandro Botticelli in the 1460s, commissioned by archbishop Johannes Vitéz. The Hungarian cultural minister, who happened to be in Rome at that time, announced that Botticelli frescoes have been found in Hungary, and the international and Hungarian press was enthusiastic (link to Reuters article, to serve as an example). Participants at the conference were less enthusiastic, and lively debate continued as the conference embarked on an excursion to Hungary. Pro and contra arguments were published in the Hungarian press - particularly lively was the rebuttal of the theory by Louis A. Waldman, assistant director of Villa I Tatti, and a noted expert of the period. Waldman's argument was published in an interview in a Hungarian weekly, Élet és irodalom. Other experts, most notably Miklós Boskovits expressed their doubts (summary in this Hungarian article). 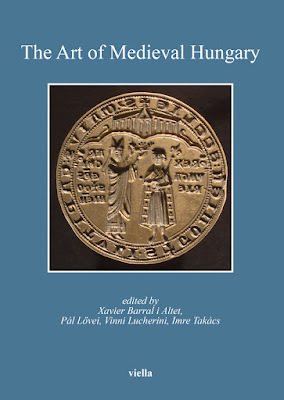 The acts of the Florentine conference - co-edited by Dr. Waldman - are to be published in the near future. 4. Zsuzsanna Wierdl and Mária Prokopp have done a lot to publicize their theory. A film was made, several exhibitions were organized, and in 2009 they also published a book, co-authored with architectural historian Konstantin Vukov (the book is in Hungarian, with Italian abstracts). Most recently, their arguments have been summarized in an article by Mária Prokopp, which was also published in English (see the article in Magyar Szemle or in Hungarian Review), and further arguments were put forward in an interview published in Artmagazin (in Hungarian). Also, the original study will be published in the I Tatti conference volume. 5. 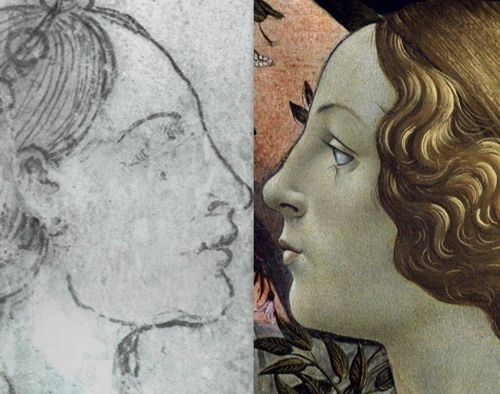 Counter-arguments have not been published as often as the Botticelli-theory has. But there seems to be general consensus that the Esztergom frescoes date from a later period, most likely around 1490, and were painted by a Florentine master of lesser stature - probably by one of the masters, such as Albertus pictor fiorentinus, who were mentioned in documents at that time. Waldman's argument, mentioned above, was the most forceful, calling the Botticelli-attribution 'absurd'. I cannot link to many more publications, as doubts have often been very summarily argued. The debate has been summarized for example in this Hungarian-language article from HVG (2010). Problems with the whole story, and the presentation of the findings have been best summarized by Ernő Marosi (again, only in Hungarian). Unfortunately, the frescoes still remain inaccessible, and the end of work is nowhere in sight. The art historical debate is also far from being over. Until it gets settled, you might want to read about a famous Florentine painter, who definitely spent some time in Hungary, although his works there did not survive: Masolino. Thank you for the wonderful summary and links. We are very lucky to have you to relay this information to us. It sounds like this issue is still far from being resolved, though it would be nice to have easier access to scholars' evidence on both sides. Of course Botticelli was still very much part of the Scuola of Filippo Lippi at this stage(1460s), so any documentary evidence that would show Botticelli's individual involvement would be scarce. Even with firm proof that Lippi's workshop received an order for a work in Hungary is still not proof that that Botticelli himself did the work! Some more solid dating evidence would be nice as well. Thanks for the information - please let us know if there are any further updates! Thanks for the comment, H! Much more information is to be expected from the I Tatti volume on Italy and Hungary - it will provide a nice overview of Hungarian Late Quattrocento. (Péter Farbaky and Louis A. Waldman eds., Italy and Hungary: Humanism and Art in the Early Renaissance. Firenze, forthcoming).